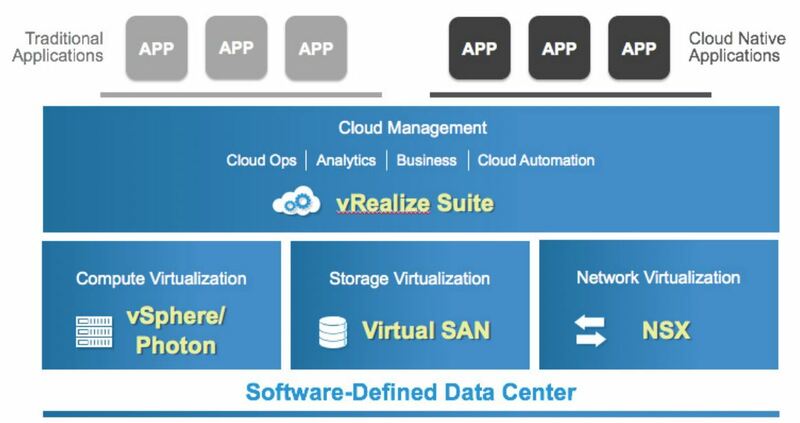 With the Software-Defined Data Center (SDDC), VMware laid out the vision for the architecture of the hybrid cloud. SDDC redefines the architecture and operational model of the data center, enabling IT to complete the transition to hybrid cloud and maximize its benefits. In an SDDC, compute, storage, and networking services are decoupled from underlying hardware infrastructure and abstracted into logical pools of resources that can be more flexibly provisioned and managed. 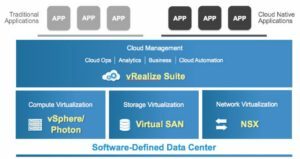 To accelerate the customer journey to SDDC, VMware has introduced VMware Cloud Foundation™, a new unified SDDC platform for the private and public cloud. Cloud Foundation brings together VMware’s compute, storage, and network virtualisation into a natively integrated stack that can be deployed on premises or run as a service from the public cloud. Cloud Foundation enables organisations to achieve greater business agility and scalability to support the next generation of applications. While public cloud services can be a good fit for many applications, company-owned data centers continue to play a critical role especially for those mission-critical applications that require greater control and security. As a result, organisations are looking to shift to a more agile, service-oriented IT model that leverages both private and public clouds. Cloud Foundation allows CIOs to enable their business to achieve the operational and cost efficiency of web-scale cloud service providers.